The Lighthouse 5K once was a feature of the Lansing Harbor Festival. When the festival ended, the race was no longer held. In 2016, the Lansing cross country teams decided to bring this race back to our town. The event serves as a team fundraiser: the funds raised allow the program to provide its athletes with enrichment opportunities, team celebrations, and important training equipment and gear. The race also enables our student-athletes to fulfill another important goal: giving back the the community. 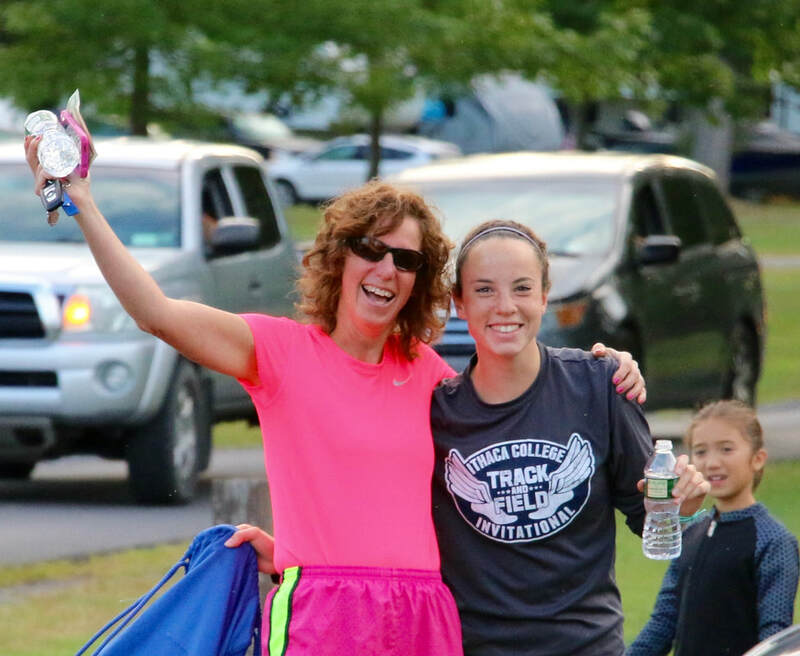 The teams are thrilled to be hosting a race that brings new visitors to our beautiful Myers Park and draws together neighbors, sports teams, and runners from across the Finger Lakes region. Our athletes run for Lansing -- and we invite all of you to do the same. Our event is open to runners and walkers -- and even future runners who still need strollers! Join us! Out of town or unable to run, but you want to support the team in another way? We need volunteers to help in the months and weeks leading up to the event. Both the Fun Run and 5K start on the paved main loop of Myers Park. 5K runners then leave the park and turn right along Myers Road. After a hairpin turnaround that affords runners a chance to view the competition, the course continues along paved roads to Salt Point, a beautiful natural habitat. The terrain in this loop is packed dirt roads and gravel paths. Upon completing the Salt Point loop, runners return to Myers Park. Both the 5K and Fun Run end along the camp road, a packed dirt and gravel road that parallels Salmon Creek. A scenic finish at the shore of Cayuga Lake is a perfect place for post-race refreshments.